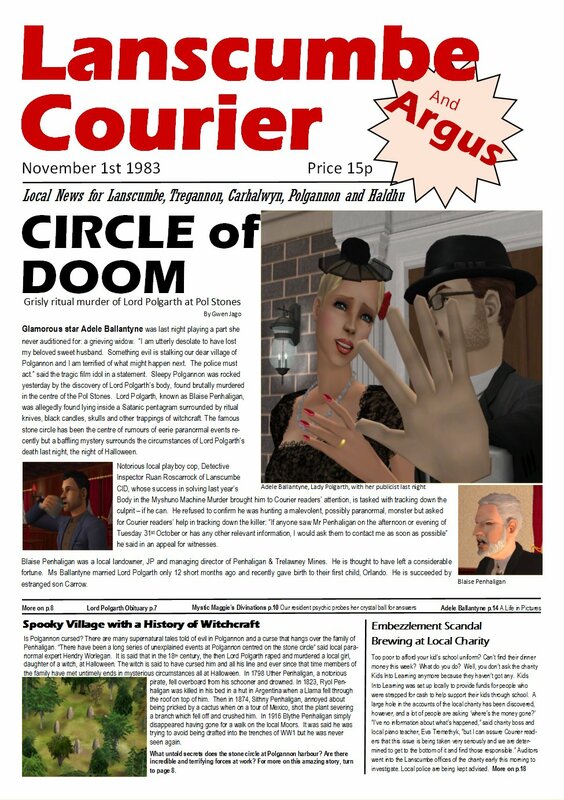 Mod The Sims - Polgannon - A Complete Story Neighbourhood Whodunnit? Please read the installation instructions (Installation tab) carefully for this download. It is not simply a case of dumping everything in Downloads. Also please take note of the issues and warnings section on this download page so that you are aware of potential problems which can be easily avoided. I put a lot of the information under spoiler tags since there is a hell of a lot for a single thread. 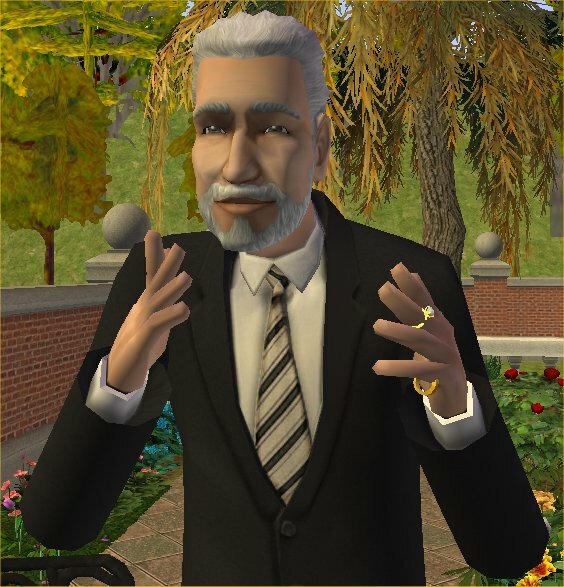 There's a lot more information about the sims and lots in the comments. Also, there's a list at the bottom of this page of successful solvers. Update 13 September 2015 - 2nd edition of the neighbourhood released and is now the version of the file available here. Only the neighbourhood file is affected, custom content remains the same. 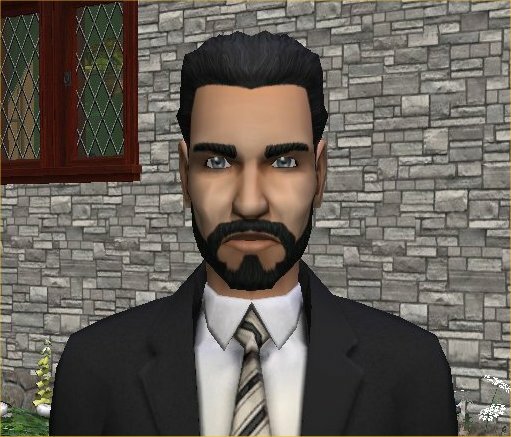 Changes include: SimDNA files for some brown eyed sims corrected; LTW for Tamara corrected; Golf Club lot description added; James Penhaligan's name is now spelt correctly; some corrections to parts of the story including one story picture replaced; other minor adjustments. Also, the files for the extra families have now been moved to Sims File Share and are available here: Edgcumbe, Kestle and Grenville. Please see bottom of post six in the comments section for details. Update 11th December 2015 - 3rd edition of the neighbourhood file is now available for download. Only the neighbourhood folder is affected, downloads remain the same. Fixes include: two statement pictures in Ruan's story updated to show correct information and appearance; reset the marriage status of all married couples to try and combat a problem reported by some players that couples had the 'propose marriage' option even when otherwise showing as married; some minor tinkering with physical evidence and a couple of furniture placement issues corrected. My normal policy is to allow people to share what I make freely (though no pay sites). However, Polgannon is an exception to this rule. It is a large and complex piece of work and it took me a long time to write it. As such, I would prefer not to see Polgannnon shared on any other website than this one and also I will not give permission to convert Polgannon to other uses such as making it into sub-hood or gender-swapped versions. I just don't feel that would be appropriate for what it is. Please respect my preferences here. This just in: read all about it! Blaise Penhaligan has been found brutally murdered - can you solve the mystery that surrounds his death? This is a complete neighbourhood for you to play. It is based around the idea of a typical murder mystery from the Golden Age of murder mysteries and thus it has elements lifted from Agatha Christie, Dorothy Sayers, Josephine Tey, Margery Allingham, Ngaio Marsh and all the rest I could think of (now you know my bedtime reading). I have included practically every whodunnit character cliche I could think of. This is why I wanted to build the neighbourhood in the first place. I wanted to see if I could write a COMPLETE mystery story with a murder, background, motives, character and detectable solution. I am quite pleased with the result, it is not perfect but I have achieved the goal I set myself. 1. you can play it like any other downloadable storied neighbourhood: get to know the sims resident here and play out their lives. Make your own mind up how Blaise Penhaligan came to meet his fate and let life go on from there. I hope you would find it interesting and enjoyable. 2. you can set out to solve the mystery. Because, you see, there is one. If you decide you want to play detective, you can attempt to solve the mystery - Blaise Penhaligan has been murdered and one of the residents of Polgannon did it. That's your starting point. There is a solution - it's just not obvious what it is and if you want to know, you'll have to work to find it (I bet someone gets it in 5 minutes). There is information and clues scattered all over the place. 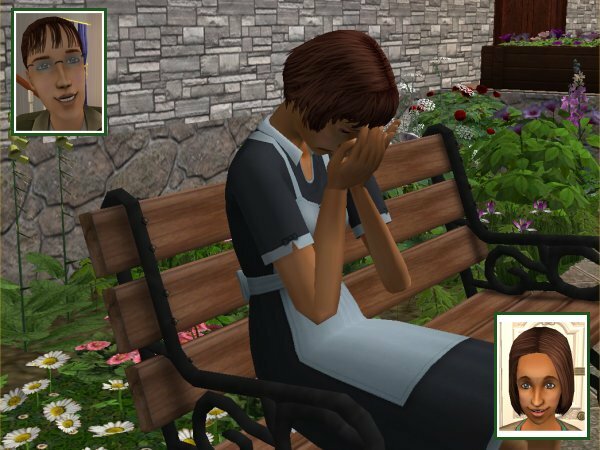 You will need to explore family stories and pictures, sim memories, sim bios, the neighbourhood story and more. I'm thinking you will probably need to take notes (see the documentation section in the comments for 'help' here). There are motives galore for bumping off the odious Blaise and more alibis than you can shake a stick at. And there is evidence - lots of it - though sometimes this is not clear. It's up to you to work out what information you can trust and what information is a load of old Cornish pasty. The point is though, which alibi doesn't hold up? Who was it who snuck up to Polgannon stone circle at Halloween and stabbed Blaise Penhaligan squarely right between the shoulder blades? If you want to play it this way, I would suggest starting with DI Ruan Roscarrock* who is a policemen investigating the case. He is staying temporarily in one of the apartments called Boathouse Lets - they are normally meant to be rented out to holiday-makers. Incidentally, there is a holiday-maker living in the next door apartment (Margaret James) who is so intrigued by the local mystery that she has decided to investigate the crime herself. DI Roscarrock has important information in his family story - his story consists of statements from all the residents of Polgannon about what they were doing on the afternoon Blaise was murdered and I'd suggest it's a good idea to find out what everybody said as your starting point (the pictures tell you who it is making the statement). Margaret has also been doing some investigating locally and has been writing to her friend back in London about it (it's in epistolary form). So her family story also has some interesting and useful information. Beyond those two, you will also find a statement by Constable Warne in the Warne family story. Apart from these there are also various other sources of information. In particular there are items in the family stories that I have called 'gossip'. These are meant to be the inhabitants of Polgannon talking to each other after the murder and can be distinguished by the fact that they have face icons in the pictures (example below). The face icon on the left is the person speaking and the face icon picture on the right is the person being spoken to (you will always find the gossip panel in their family story). Gossip panels are always at the end of the family stories while the beginning of the story will have a brief history of the family in chronological order (as you normally would if you use this feature). There is some information in the family lot descriptions about each sim's background. Finally, in the sim's individual bios you will find a series of 'thoughts' (rather than a personal bio) - these are recent thoughts which have passed through that particular sim's head. Does anyone betray themselves? Quite a lot of the information at any given point is incomplete and you will have to hunt elsewhere to find the rest of it. Some people might not like this sort of thing. However, please bear in mind that what I set out to do was write a story using the game. If you don't like all the information, feel free to delete it and adapt the neighbourhood to suit your preferences. That's my guidance. After this, you're on your own. It is three days since Blaise was murdered when the neighbourhood opens: a wet Friday 3rd November. It's 6am and everyone is just starting their day. (Polgannon is set up to play rotationally but you don't have to do this). * I may have gone a little overboard with the Cornish names. Just a little. At some point, I will gather all the stuffs I wrote as I made this neighbourhood and compile all the bits of information into one file and make it available for download. This should (in theory) allow you to see who actually did it. However, this will not be soon since I am a. overwhelmed with the amount of work making this neighbourhood took and b. generally very busy (I have a demanding job). Needless to say, the solution is not stated directly in any of the neighbourhood sources of information. If you're right, I'll tell you. Polgannon is built on a custom neighbourhood map. I was attempting to create a sense of place from a visit I made to Cornwall a few years ago. Polgannon is a village tumbling down the steep coastal margin of northern Cornwall towards the sea surrounded by isolating and bleak moors. 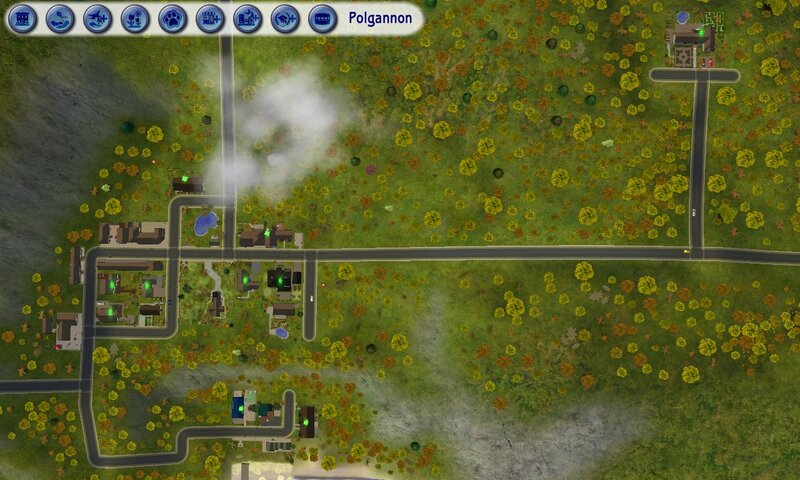 You will find 37 living sims (plus several dead ones including Blaise), 3 cats and 3 dogs in 17 families with 24 lots (a mix of residential and community) in Polgannon - all unique to this neighbourhood (see first few posts of the comments thread for pictures and more detail). There are four townies plus 2 NPCs (a driver and a landlord). I resisted the urge to include a Chinaman BTW. 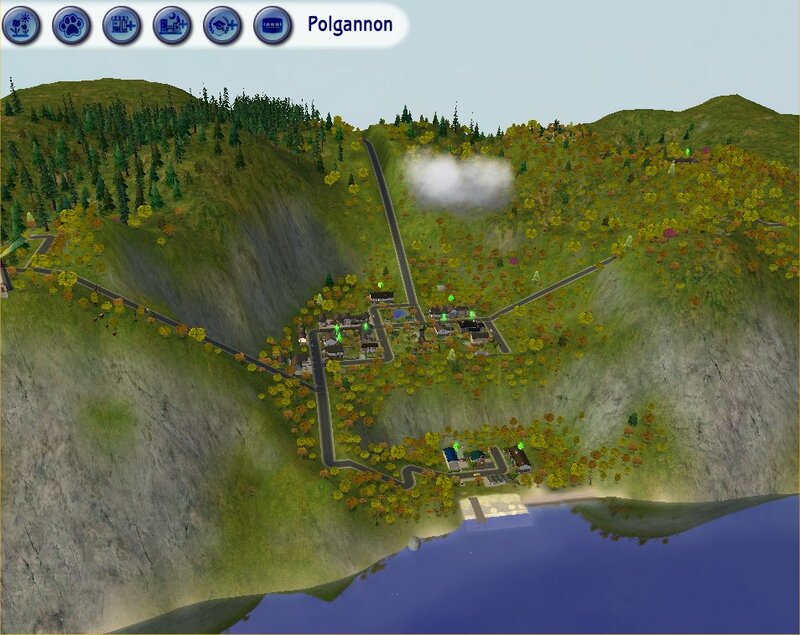 Polgannon was built in an otherwise empty AGS environment, so initially, that's all the sims you get. There are no sub-hoods, no universities, no downtowns, no shopping districts and no vacation destinations - you can add those yourself. You will need all EPs and SPs to play. If you don't have all, you may find stuff missing from lots or lots that won't load - there is nothing I can do about this. If you are missing an EP, it's likely Polgannon won't load at all. If you have missing SPs, you will find stuff missing in lots but you will possibly be able to load the neighbourhood. This neighbourhood wasn't made with the Store Edition. The neighbourhood has been checked with the Hoodchecker and is clean. On first load in a regular neighbourhood slot in game, the game will generate some of the hidden sub-hoods because they are at present not loaded. The game will load pets, magic, exotic destinations and various other stealth hoods (unless you have modded your game to prevent this). What it is doing is adding NPCs and townies to your version of Polgannon. This means the initial load will be slightly longer than usual as the game copies the files and folders. There is nothing wrong with the neighbourhood. Your game will also generate NPCs as you play. What I tried to do was keep the download file size to an absolute minimum. Although I have play-tested the neighbourhood and had it play-tested by others, the version of the neighbourhood files you will get has only been played for a very short time in order to prevent the game from generating any extra sim files. Thus, there are very few NPCs in the files (there's a driver and a landlord). As you play, your game will generate these NPCs as needed (if you have the no-regen hacks, it will only generate those it actually needs). So you will find that the first time you play a lot through the morning hours, the game will make a newspaper girl/boy and a post-person. This may cause some lagging as you start to play the neighbourhood though it will not last forever - once the NPCs are there, the lagging will go away. Many of the lots have been fiddled about with Mootilda's Lot Expander. As a result, I strongly recommend that you DON'T try to move them around. They won't go back if you do. Polgannon is a complicated neighbourhood and there are large lots - it is NOT recommended for smaller, less powerful machines. Pharmacy Set By Mummysim at SimsDivine. Site gone. If you don't like downloading extra CC (and I know this is an issue for some), you should know that the neighbourhood has been destruction tested and it will mostly load without CC in place (though it looks bloody odd). Leaving out CC will affect the atmosphere, appearance or functioning of Polgannon. Some of it is minor, some of it will make a big difference. If you don't want all the CC that comes with the neighbourhood, that is up to you but my advice is to pay attention to these items in particular and do something about them if you want the neighbourhood to be workable and look finished. Plants. They were used extensively in every lot build. You can leave them out for the most part without problem but you're going to be going round the entire place and removing a lot of EAxis stuff. However, two lots will sometimes crash without the CC present (the High Street and Boathouse Lets). I think it is because the game struggles to substitute the original items for the CC. Specifically, two pieces of CC seem to cause trouble - that is the Anemones and Small Shrubby Shrub by Gwenke. I think it is because they are slave meshes. I can't see anything wrong with the files and the crashes happen at some times but not others. I recommend always playing the neighbourhood with the requisite CC and especially the plant CC. Thank you to SimPE creators (Numenor and R Giles) â€“ not possible to do this without SimPE. 247 people have said thanks to maxon for this download. b. A downloads folder called Polgannon Downloads. This can be put in your Downloads folder as it is. You can remove it when you don't want to play the neighbourhood. There are no hacks in this folder though there is one modded object. Please note: If the hood doesnï¿½t show up when you load the game, you may need to regenerate your NeighborhoodManager.package. Do this by cutting and pasting it somewhere else, since you may need to put it back if removing it causes problems. Once the hood loads up, you can delete the saved file.